It is an old trick. When a label takes on a life of its own, threaten to attach the label to one not quite toeing the line to manipulate them to fall back in line. If they cross the line, destroy them with the label to instill fear in others. The unfortunate part of it is the utter dishonesty involved. It really isn’t about the rhetoric now attached to the label at all, but only an ugly control mechanism. In the 1950s a version of this phenomenon went around that later was called McCarthyism. The label of that episode was “commie”. Were there communists working undercover in those days? Of course there were. Was what communists stood for a bad thing? Of course it was. The sad part was that many were found to be communists who were not at all. Maybe it was only that they had been kind to someone who was, or they held an opinion that some didn’t like, and the most formidable weapon around was that label. So it got thrown around. All kinds of groups use these tactics. In our day, labels like “bigot”, “homophobe”, or “fundamentalist” can mean a lot of things to different people, and many are terrified of these labels. Another such label, this time in Christian circles, is “liberal.” In the Independent Baptist world this label holds the most sway. In some unfortunate instances it has dramatically altered the ministry of those where the label stuck. 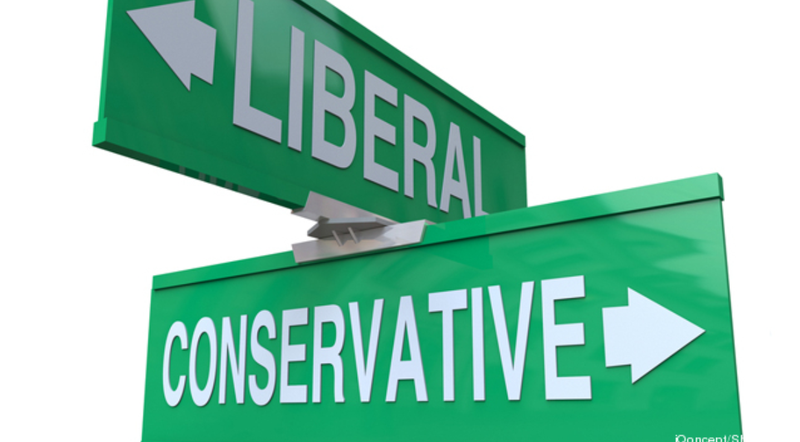 Are there situations where the designation “liberal” is both fair and accurate? Absolutely! For years it referred to a distinct theological position of denying the great, historic tenets of Christianity–things like the Virgin Birth, the Resurrection, the Inspiration of the Bible, or the Blood Atonement. But the word “liberal” became a cheap label when it was thrown out, not for a disbelieving theological position, but a disagreement over standards or worship styles. You know, something like having a screen in the church and, presto, you are a liberal. It is time we see through this labeling. This is not about the glory of God, or about honoring Christ, or even about Scriptural accuracy; no, this is about control. This is about holding the party line or paying the price. It is the politics of a Union Shop! We ought to be concerned with labeling. There is sin in the dishonesty of it, as well as the destruction done unjustly to brothers and sisters in Christ. We ought not originate it, nor propagate it if others do so. We ought to counteract it by repudiating it when others employ this slimy tactic. There is no place in God’s work for cheap, misleading labels! Ah yes, the catch-all, last-ditch-effort label… I have heard this label thrown around so much over the years, but I have hardly ever heard it utilized appropriately. It is quite easy to use when one cannot develop a biblical argument for why someone is wrong. If it is different than the way one does it, it must be “liberal”… Dead on, Jimmy. You are so right Marc! When you look up the dictionary definition of liberal, it sounds like something we should all be! 1. favorable to progress or reform, as in political or religious affairs. 2. favoring or permitting freedom of action, especially with respect to matters of personal belief or expression 3. free from prejudice or bigotry. And ironically, these ARE different than modern conservative fundamentalism (i know that was a broad, sweeping generalization, but take it for what it’s worth!). Ironically as well, (here’s another generalization) m.c.f. would also preach that these things are good, but in practice, look down on those who actually do them. “Yes, we should always be moving forward” but they never do. The way it’s always been done is the best and only way to do things. “Yes every believer is a priest and stands before God alone and is free to act out his faith in ways that may be different than someone else” but then they condemn those who act out their faith differently than them. “Yes, we should abstain from prejudices and an overly judgmental attitude” but keeps a closet full of prejudices and judges anything anyone does that is not exactly like them. These are valid points, even with the generalizations. My wife just wrote a book on education (not yet available), in which she discusses the meaning of a “liberal education.” “Liberal” in this sense means “generous” or “abundant”. This meaning certainly keeps in line with the biblical meaning. The modern sense of liberal–what you mentioned, but taken a bit further, is, IMO, not in keeping with a biblical understanding, and even your explanation is a bit counter to scriptural teaching–at least in some areas. For instance, the NT writers clearly tell us to test teachers and expose false teachers. On the other hand, so much of what passes for Fundamentalism today is merely the modern face of Pharisaism and its attending Judaisers. If Fundamentalism means a return to the fundamentals, then one of those fundamentals _must_ be the priesthood of the believer and freedom of conscience, which seems to be counter to much of the behavior of most modern fundamentalists. What is so ironic is that most fundamentalists today preach hard against sin (and especially sins that don’t seem to be common amongst them), but ignore the fact that Christ spoke the most harshly against the spiritual leaders of His day, who used religion for their own gain, and as a club on others–which sins fundamentalists are most guilty of. I am aware that I’m painting with a broad stroke here, but I don’t really want to get too specific in this kind of a post. I am aware that not all fundamentalists are like this, but I fear that we all are far more guilty than we would like… and yes, I do include myself. Pharisaism is the heart of the problem!